WNA Talks to the Cast and Creators of Bad Samaritan! In Theaters May 4th, Bad Samaritan, is a thriller starring David Tennant (Dr. Who, Broadchurch), Robert Sheehan (Misfits, Geostorm), along with Kerry Condon (Better call Saul), Jacqueline Byers (Salvation) and Carlito Olivero (East Los High). 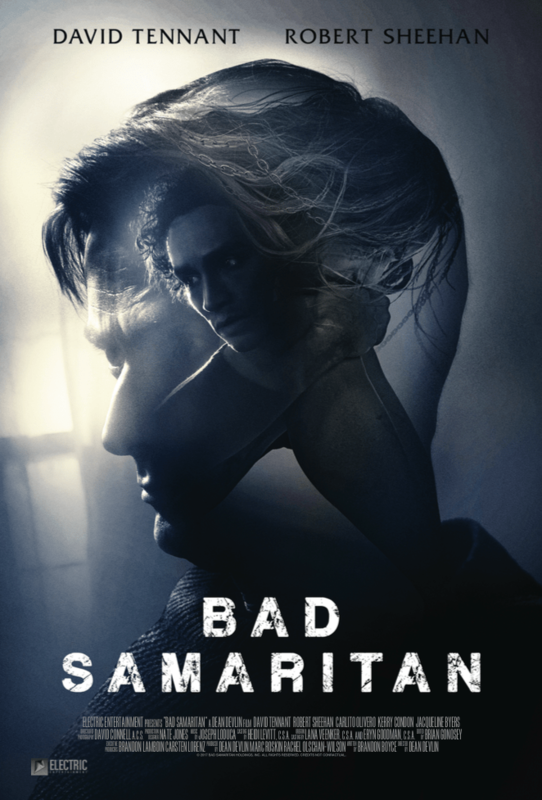 Bad Samaritan is written by Brandon Boyce (Apt Pupil, Wicker Park) and directed by Dean Devlin, executive producer of The Librarians and Leverage, the writer/director of Geostorm, also he wrote a couple of little movies…Independence Day and Stargate. WNA got the amazing chance to sit with the talent behind and in front of the camera to talk about this movie. Check out the interviews below! Dean Devlin (left) and Brandon Boyce (right) talk about how making Bad Samaritan was a challenging labor of love, the relevance of the movie in today’s society and how suspenseful the think the movie really is. Carlito Olivero (left), Jacqueline Byers (middle), and Kerry Condon (right) discuss some of the challenges in filming during a cold Portland winter, working with David Tennant, and some of the the fun shenanigans that they all got up to on set. Again, Bad Samaritan comes out on May 4th, in theaters across the country.